7 Sultans Casino Review - The 7 Sultans casino is licensed by the Kahnawake Gaming Commission and is a part of the Fortune Lounge group. This site offers its customers access to the Fortune Lounge casino school that provides players with details for learning more about each of the individual games. 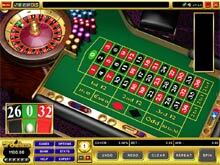 The 7 Sultans casino also presents a preview of the wide range of games offered. At the 7 Sultans casino an independent review of random number generators is used to ensure a fair game for the players. At this site, the issue of security is given the attention that it deserves and 128 bit encryption methods are used to protect information at the casino. The 7 Sultans casino prides itself on its eCogra safe and fair seal of approval. Various electronic payment methods are accepted at this online gaming site, plus several withdrawal options with their respective details. At the 7 Sultans casino, players may make transactions in U.S. and Canadian dollars, the Euro and British pound. Among the various promotions at this site, players will find a friend referral offer. The lobby of this casino has a pleasing layout enabling players to move around the site easily. Exciting casino action may be accessed quickly and simply at the 7 Sultans casino. Casino Bonus - Players registering a real account at the 7 Sultans casino may take advantage of a welcome casino bonus. This offer concerns a $50 bonus free that does not require any deposit. 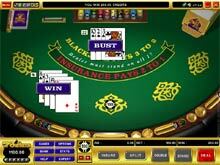 Software Provider - The 7 Sultans casino is powered by the top quality Microgaming software. Microgaming has been around since the first of the best online casinos graced the Internet and the products have developed and improved with age. Microgaming software is considered by many gamers to be the best gaming software in the business. Microgaming certainly has a wide selection of varied games and a large progressive jackpot network. Game Variety - The 7 Sultans casino offers its customers a range of more than 350 games including slots, craps, blackjack, video poker and roulette. This selection includes a large variety of slot games such as 'LotsaLoot', 'Ladies Nite' and 'King Cashalot'. This section cannot be completed without a mention for the progressive jackpot games featured at the site. Customer Support - The 7 Sultans casino provides a 24/7 live web support service to deal with questions and any trouble-shooting. Customer support at this site may also be reached by telephone and e-mail. In addition, there is a useful FAQ section for the convenience of players at the casino.